Returns Policy | T.P. Supply Company, Inc.
T.P. Supply Company, Inc. understands that unforeseen issues arise which may require the product to be returned. Due to each and every issue being distinct of its certain kind. A T.P. member will review the request and let the customer know the decision that has been made. Feel free to give us a call, toll free at 1 (877) 302-2337 to inquire about your certain situation that may require a return of a product. If a product(s) arrives to your location and is/are damaged due to a freight/logistics problem, customer care will be offered to best assist in correction of the problem. As the customer, you will need to supply pictures of the damaged products as proof to the carrier. 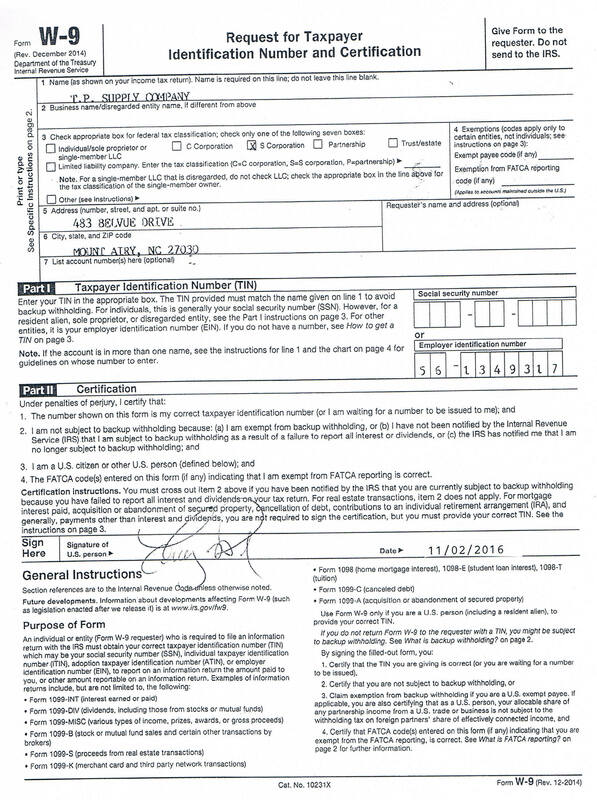 Please refuse any damaged product(s) from the chosen carrier and write on the BOL (Bill of Lading) damaged by carrier. There will be a 20% restocking charge on return items. Purchases made online that have been damaged due to a manufacturer’s error will be accepted for return. Returns on custom items will not be accepted for return. All used products are sold as is with no returns granted. All reconditioned items will be sold per the manufacturer’s policy and will only be accepted for a return after discretion of the customer care team from TP Supply Company.